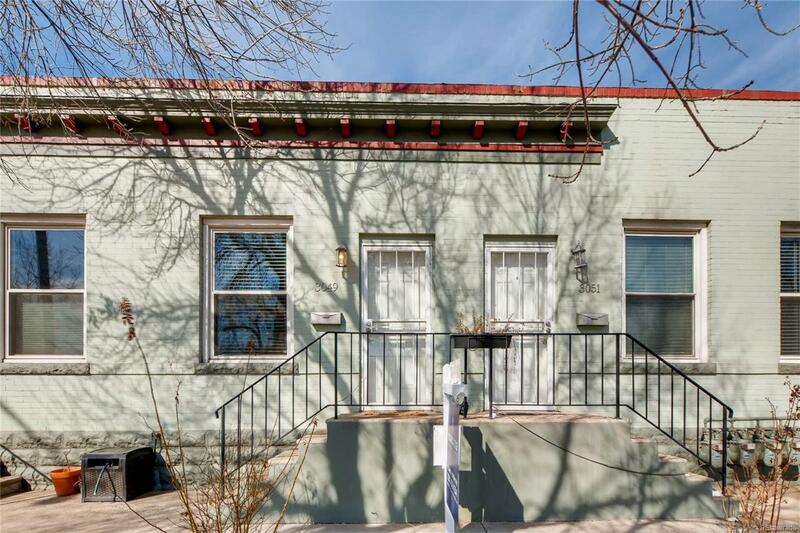 Welcome to this charming, vintage row house in the historic neighborhood of Curtis Park. LOCATION LOCATION across the street from Curtis Park and only two blocks from the RiNo Arts District offering galleries, eateries, breweries and even a winery! Fall in love with the updated, open floor plan which is spacious and inviting. Entertain indoors or on your semi-private patio. This home features custom cabinetry, granite countertops, glass backsplash, solid oak hardwoods, breakfast nook, skylights, two large closets and extra storage space in the basement, new furnace and a/c coil 2018, neutral paint, and ample natural light. All appliances are included and you won't need to haul clothes to the laundry as you will find a washer/dryer in the unit. No HOA! Plenty of street parking in front of home! Very little inventory at this price point in such a highly sought after location- check out the walk score above! Own it for yourself or buy it as an income property!